There are many facets and areas to work on when it comes to your digital presence online. This could be off-page optimization to help with SEO and Marketing, such as social media signals. It could be on-page optimization, such as bounce rate, user experience (UX), title tags, alt tags, and frankly, a myriad of other areas. While everyone has different opinions on what’s more important, I’ve always had a soft spot for all things speed optimization. 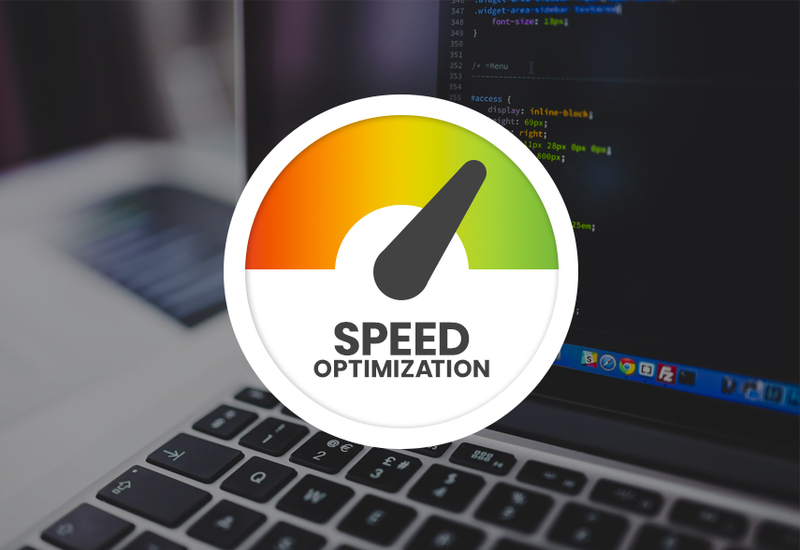 I’ve heard people say all types of things in regards to speed optimization – even that Google doesn’t give you a boost when you have a fast site. This may or may not be true, but in my humble opinion, it doesn’t paint the full picture. Let’s pretend for a second that Google doesn’t give you any type of boost in the SERPs. 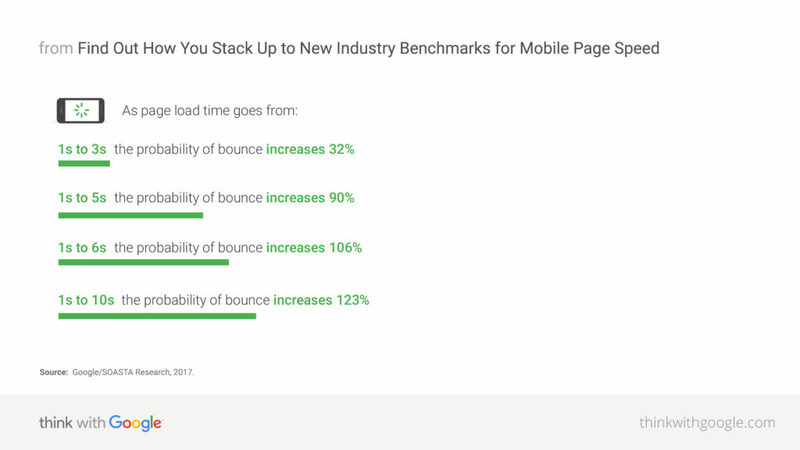 That’s fine and all, but we do know that Google gives you a boost for having a low bounce rate. Having a fast site should lower your bounce rate automatically, if only for the fact that us humans are impatient. Users are visiting your site because they need help with something. You may also have competitors who they can turn to as well. Let’s make it as easy as possible for them to find what they’re looking for, and ultimately, convert! For example, let’s say a potential customer is looking for our services. Let’s call him “Bob”. Bob lives in an area with a shoddy data connection. 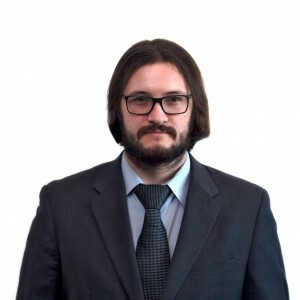 Bob clicks two of your competitors who rank higher than you in the SERPs, but their sites are slow for people with fast internet, let alone someone with his connection. How long do you think he’ll wait? How long do you wait when viewing a slow site before getting frustrated and thinking “this piece of junk won’t load!!!”? If he’s like me, he won’t wait long, so he backs out to Google Search and makes his way down the list. You’re the 3rd result, but your site actually loads fast, and you win the customer by default. Remember, not everyone has a super fast 4G connection on their phone. As a result of this, Facebook has 2G Tuesdays, where they force themselves to use Facebook with a 2G connection. This helps them to understand their customer’s experience, and work on ways to improve. So now we know one of the reasons why Speed Optimization is critical for your online presence. You might be asking, “Ok, well how do I make my site faster?” Unfortunately, this answer isn’t as cut and dry. The truth is, all sites are different. They’re built by different people (who may not have known or cared about speed), they can be built upon different platforms, or they might be on a super slow hosting package. In order to see what can be done with your site, feel free to reach out to us! Here at Websites Depot, we kind of have a friendly rivalry on who can build a faster-loading site. When we launch a site, or push to staging, at least one developer will say, “but how fast is it?”, and we huddle around the computer of whoever is running the speed test. We typically aim for anything under 2 seconds, although we’ve gotten sites down to a blistering 0.4 seconds fully loaded! This particular WordPress site was built by us from the ground up with speed in mind. Many times clients come to us with sites that have abysmal loading times (I call them “Molasses”) because their previous developer built them a site super cheap. This typically comes down to the old saying of “you get what you pay for”. Experience and care take extra time, and extra time costs money. While our prices are very good (call us to find out) for the level of work we put in, I would argue that with the above points, paying more for a site that’s built better and faster will save you much more money in the long run. A site is not strictly about looking good; it should be the whole package. What good is a nice-looking site if people don’t even wait around for it to load? Below is an example of a site that one of our clients had built somewhere else before becoming our Digital Marketing client. Some of the details are blurred out for privacy. As noted above, a site with these kind of load times would end up costing them a LOT of money in the long run. We tried optimizing the existing site, but in attempting to do any serious speed tweaks, the site would completely break. In our experience, the speed optimization process depends on how well the site was built, and for WordPress in particular, if they followed the standard coding techniques set forth by WordPress. We’ve been building on WordPress for a long time. At the end of the day, if you build on a shaky foundation and don’t follow the rules, you’re bound to run into issues. As you can see, we’re looking at about a 12x faster website. The number of requests were brought down to less than a third of the old site, and we got a hefty improvement to our PageSpeed and YSlow scores. To top it off, we still have room to grow. We could push these numbers further by doing things such as getting a CDN and moving to better hosting, such as Amazon AWS. Curious to see what we can do together?